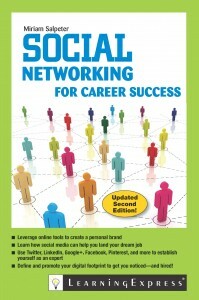 Now in a brand new (for Fall, 2013) edition, Social Networking for Career Success includes my advice and insights regarding how to use all the biggies: LinkedIn, Twitter, Facebook, Google+ and MORE for job hunting. Available both as a soft-cover book and as an ebook (via Kindle). The best part? Over 100 of my colleagues (most of whom I met via Twitter and blogging) provided their thoughts and expertise in my book. Recruiters, social media pros, career coaches – you name it, their advice is included. Take a look at this list of amazing contributors and see what people are saying about Social Networking for Career Success. Click HERE to purchase a copy from Amazon! Are you a job seeker or business owner? You’ve come to the right place!